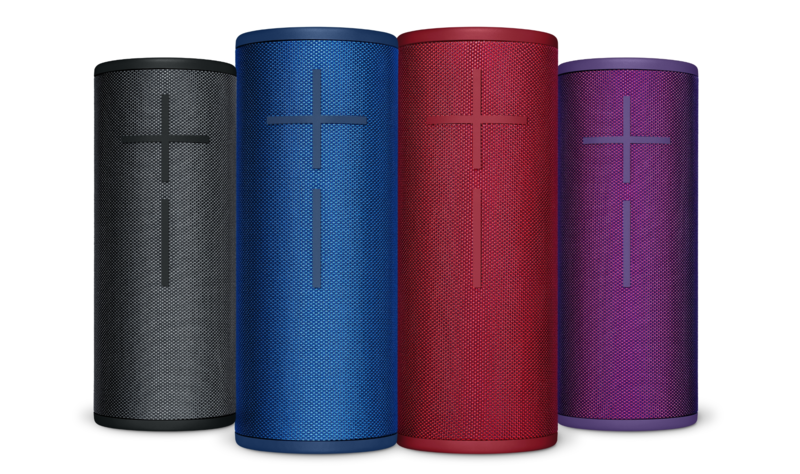 Announced in the latter half of last year, both the Megaboom 3 and Boom 3 represent the latest in UE's impressive line up of Bluetooth speakers. Both feature the new "Magic Buttom," which is supposed to help you get your music going sooner. They're also IP67-certified and they can float in water thanks to an air pocket. The biggest difference between the two is the amount of bass they can pump out and how long their batteries last, but both are sure to impress. Whichever you decide to go with, the $30 savings is good on both. 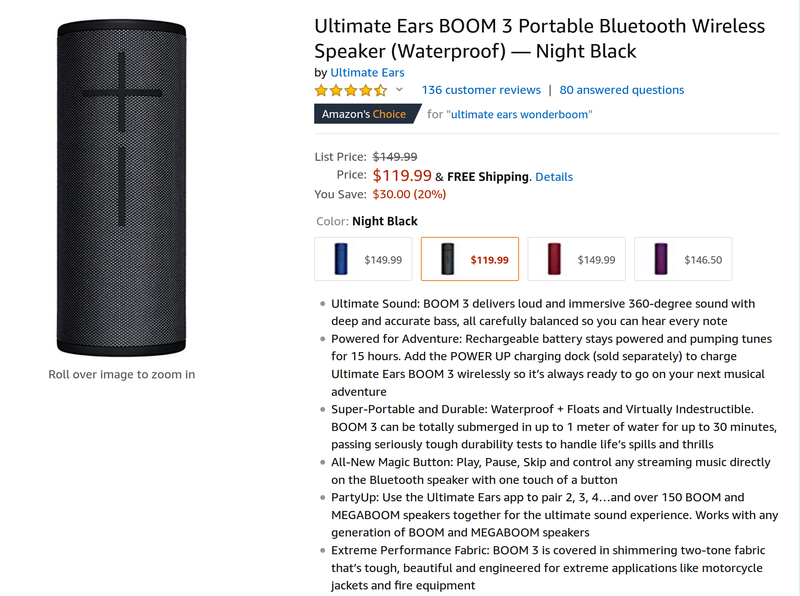 If you opt for the Boom 3, I hope you like black because that's the only color option on sale. 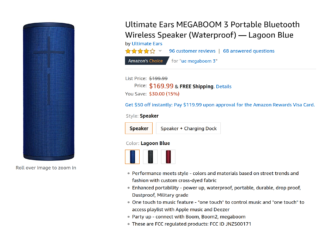 For the Megaboom 3, you have your choice between black and blue.